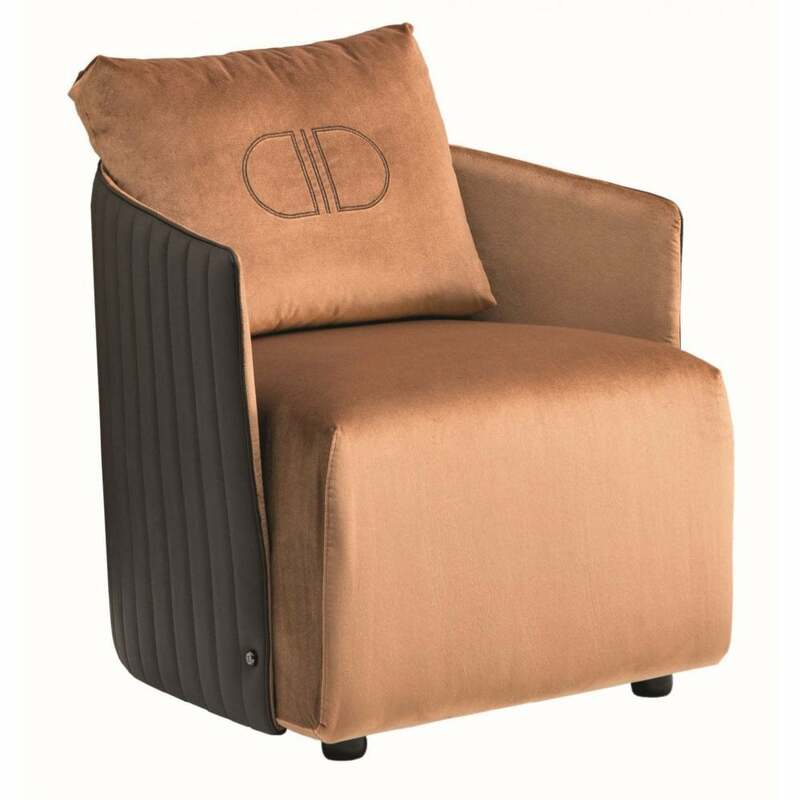 Designed by Leonardo Danielli, the Betty Luxury Armchair is part of the popular Daytona Collection. Hand-crafted using the finest materials, the Betty Luxury Armchair features refined lines that are inspired by the glamorous art deco era. The perfect addition to a reading corner, the armchair is sculpted from plywood and covered in multi-density rubber with an all over surface layer of soft goose down for maximum comfort. The backrest in structured yet flexible and finished with beautiful Capitonné detailing and vertical stripes giving this armchair a unique look. Betty is available in a range of high quality materials including fabric, leather and nubuck leather. Make an enquiry for more information. 100% Made in Italy.